There must have been quite a few people of a certain age holding their collective breath when they heard that Paddington was being adapted for the big screen; none more so than his creator Michael Bond. Thankfully we can all heave a collective sigh of relief and, as Michael Bond himself said, sleep easy in our beds. The film adaptation of Paddington is a triumph that perfectly captures the spirit of the original books, whilst giving the story a modern-day spin. This is largely thanks to an inventive and witty script that retains certain key sequences from the original stories and melds them with a enjoyable plot and plenty of very funny jokes. Of course if it was just a series of sight gags, slapstick and jokes Paddington wouldn't work, the success or failure of the film rests on how well the bear himself is brought to life. 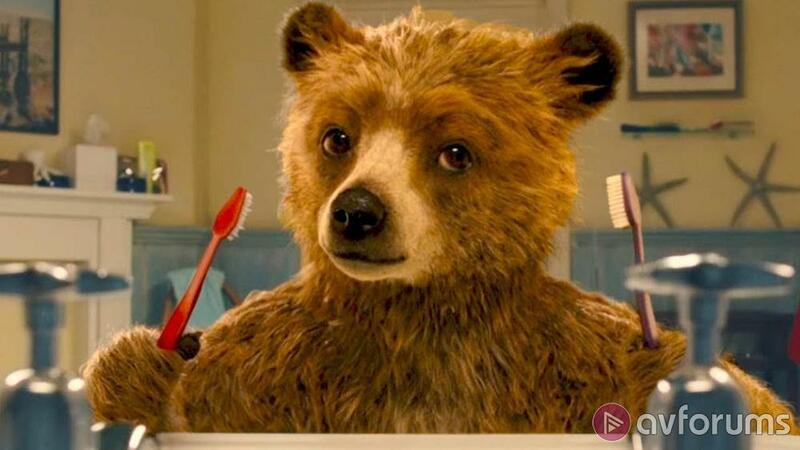 Here the effects team have certainly delivered the goods, creating a believable character that still looks like the traditional image of Paddington but with a more realistic appearance in keeping with the computer generated animation. The hat, the suitcase, the label and the duffel coat are all present and correct; although no red wellies because apparently they were added later to make it easier for the toys to stand up. The final touch is Ben Whishaw's wonderful work providing Paddington with his voice and the actor's gentle tones bring the little bear to life in a way that is both funny and endearing. The 1080p/24 Blu-ray release of Paddington comes in its theatrical aspect ratio of 2.35:1 using an AVC encode and overall it's excellent. The film itself was shot digitally and whilst no one is expecting a mega-budget level of picture quality, the results are very impressive. It is isn't quite perfect, there are a few brief moments of banding where a scene fades for example but overall this is a great looking disc that perfectly captures the cinematic experience. Paddington is a good looking disc, with primary colours and plenty of detail. 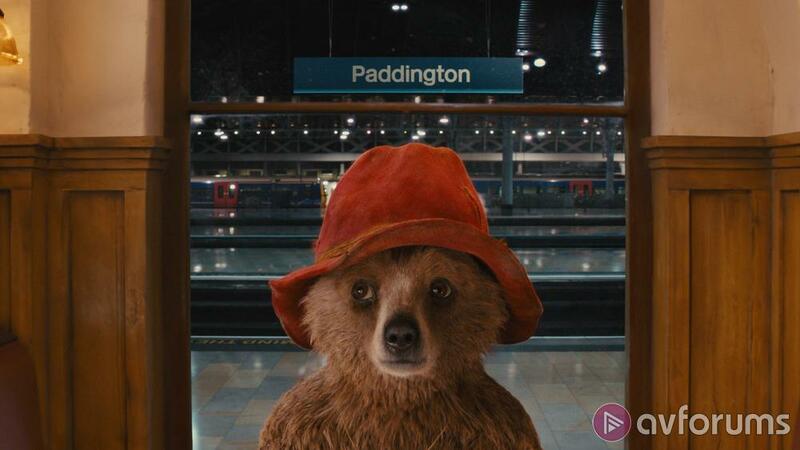 There's loads of detail in the image, enough in fact for the computer generated Paddington to not always look convincing but in general the filmmaker's have created a great looking film and the effects and live action are combined very effectively. The colour scheme is deliberately exaggerated in places but flesh tones look natural and blacks are suitably deep. Thanks to the film's digital capture the transfer is free of any unwanted artefacts and the overall image is clean. The Paddington Blu-ray comes with a DTS-HD Master Audio 5.1 soundtrack, although rather annoyingly it defaults to the LPCM Stereo 2.0 when you play the disc. You'll need to go into the menu in order to select the lossless multi-channel soundtrack but once you have, you'll be greeted by a well designed sound mix that whilst not exactly reference material, does exactly what it needs to for this delightful comedy. The soundtrack is very lively in places, taking full advantage of the surrounds to support Paddington's comedic antics as the little bear inadvertently causes chaos. A lively soundtrack supports Paddington's comic antics whilst keeping his dialogue clear. The film's score and the calypso band that regularly appear are effectively combined with the sound effects and the dialogue remains clear and detailed throughout. Ben Whishaw's vocal work for Paddington himself is also well integrated, bringing the animated bear to like and making it easy to sympathise with him. There is isn't much room for heavy bass effects but an earthquake early on in the film does provide an opportunity for your subwoofer to have a workout and constant jokes about how much it rains in London gives the sound designers plenty of opportunity to deliver rain and thunder effects. Meet The Characters (02:22) - A very short featurette about the various characters and the actors that play them. From Page To Screen (03:04) - An equally short featurette about adapting the books to the screen and especially creating Paddington himself. Gallery - A series of still images related to the film. 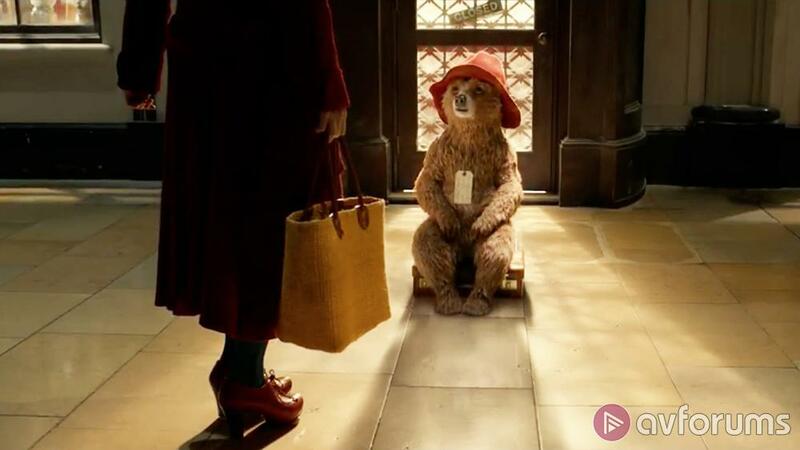 Paddington is a delightful surprise, combining the spirit of Michael Bond's original books with an updated plot that is sure to please both children and parents alike. The film is funny, witty and heartwarming, with its charming tale of a Peruvian bear that travels to London in the hope of finding a home. The lovely animation and Ben Whishaw's vocal work really bring Paddington to life, making you emotionally invested in the marmalade obsessed immigrant. A large and talented cast all have fun with their roles, providing excellent support to everyone's favourite duffel coat wearing bear and helping to make Paddington a triumph. Great picture and sound, coupled with a charming story make this Blu-ray ideal for all the family. It isn't just the film that's a delight, the Blu-ray is also excellent with a great high-definition picture and lossless audio. The film's digital capture means that the image has a clean and detailed appearance with an excellent transfer that is largely free of any unwanted artefacts. The colours deliberately push the primaries but flesh tones remain natural and blacks are suitably deep. The lively soundtrack, whilst not necessarily reference standard, keeps dialogue clear and effectively supports Paddington's comedic antics. Only the extras let the side down, with just a few very short featurettes on offer. However overall the combination of film, picture and sound make Paddington the ideal Blu-ray for all the family. Write your Paddington Blu-ray review.